I’ve never hidden my affection for the Young’s Old Sam Demerara rum: for its rich dark character, thick nose and excellent mixing qualities. Here’s a variation which simply blows it out of the water, because, unlike that simple mixer, Watson’s is in better balance overall, and is equally good as a sipper or a cocktail base. Initial maturation is indeed done in Guyana, but final blending and bottling is done in Scotland by the company that owns the brand, Ian MacLeod distillers. Established in 1933 by Ian MacLeod, the company was acquired in 1963 by the Russell family, who were primarily whisky brokers. 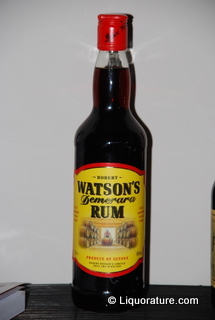 In 2000, the company acquired the Watson’s Demerara and Trawler rum brands, but I cannot yet ascertain from whom, or where the marques originated. Fine. After we finished grinning and congratulating Bob (Mr. “A-is-A”) on his product and his suitable modesty in naming it after himself, we took stock. Straightforward bottle, red metal cap. My picture, much affected by the five shots of various Ardbegs I had already consumed (my arms were twisted, honest) doesn’t really do it justice, but it glinted a deep red-brown colour, like burnished copper. Watson’s is distilled to 40% in pot stills, and aged in oak casks for an unknown period – I’m going to go out on a limb and suggest at least five years, and possibly, just possibly, as long as ten (I hate not knowing this stuff). It filmed the side of the glass and had plump but barely discernible legs as the rum sheeted slowly down, which boded well for the body. The nose was the first pleasure of the day. Almost no bite or sting or medicinal burn, though some faint alcohol fumes were there for sure…just well masked and toned down. And almost instantly I got sweet, rich fumes of molasses. Deep fumes. Actually, Watson’s, like Old Sam’s, positively reeked of the dark sticky stuff and brown sugar from a freshly opened bag. After we let it sit for a while, liquorice, nutmeg and something spicy curled around these strong and assertive scents. An excellent, uncomplicated snoot, in my opinion: no fancy additives or little thises or thatses, just the bare bones, well blended. 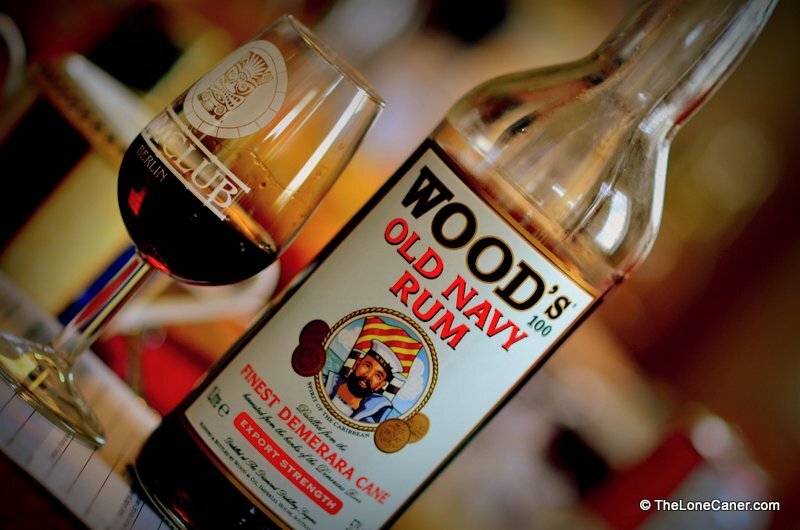 On the palate, it was full bodied and rich – a real Demerara rum. It was smooth and deep, tasting faintly of chocolate, but I’d be lying to you if I pretended it had some sort of more complex flavour profile which it didn’t possess…because it doesn’t, and that’s okay, really. The molasses and sugar, with a bit of caramel and maybe vanilla, were the dominant flavours and you won’t get more than that (though the rum does exhibit a pleasing slight driness after a few minutes in the glass). And the fade is lovely, enveloping and smooth, a dark slow burn that to me marks excellent rums. The crazy thing I liked so much about Watson’is that I barely caught any real snarl and claw and bite of alcohol throughout – it really is surpisingly smooth. If in taste and nose this thing exceeded the Young’s Old Sam, then in the finish it simply blasted way beyond it. 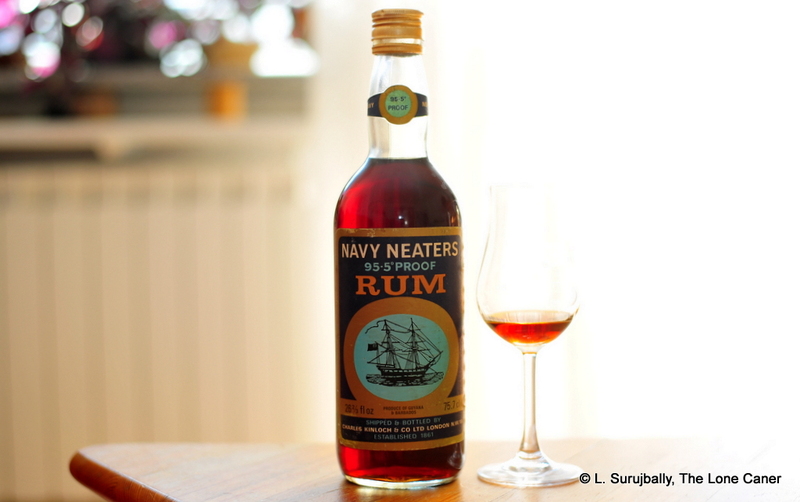 It’s a pleasure to find a rum bearing the name of one of our members: you might say that’s quite enough by itself. But to have it married to a deep and rich taste, a great balance and finish…well now, that’s an unforeseen delight, like my wife giving me a Christmas present in July. 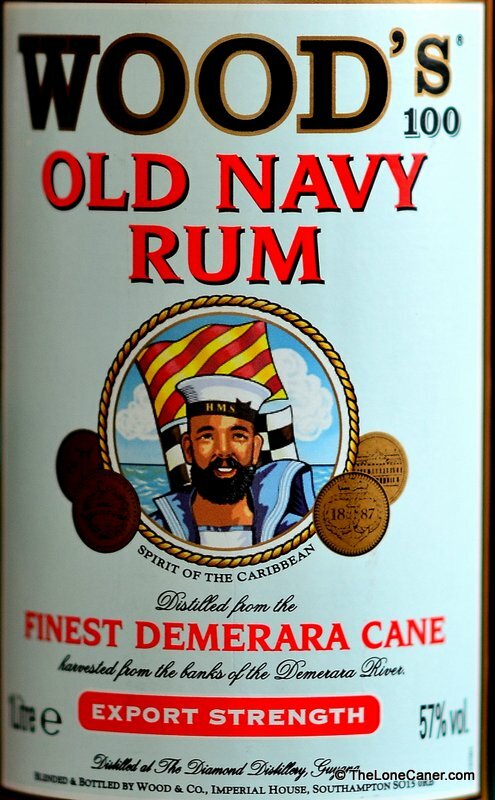 I do not believe others will share my genuine liking for this straightforward, cutlass-waving, boot-stomping Demerara rum (though I have made no secret over the years of my predilections in this direction). 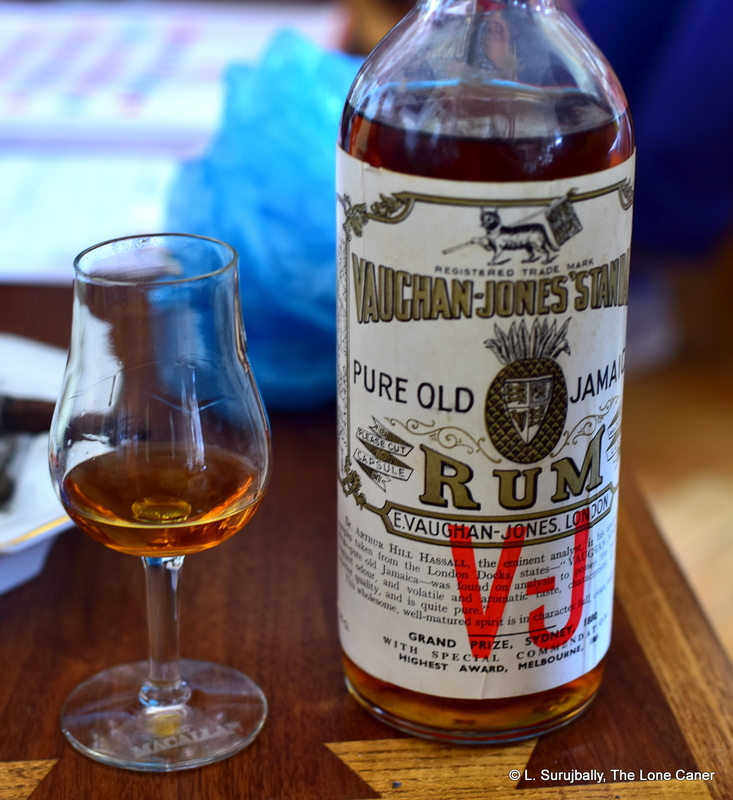 And while I’ve had my issues with Scottish distillers taking rum stock from the West Indies and making their own rum variations – not always successfully – with Watson’s I have so such problems. The thing is great. 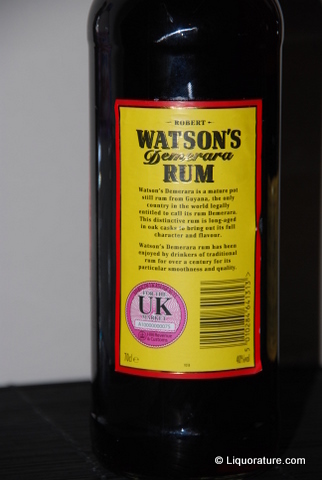 Robert Watson’s rum is a phenomenal, strong tasting rum with no time for friggin’ around on the subtleties, equally good alone or in company – and if I ever see it in any store I visit, I’m pouncing on it like a hungry vulture spotting his first lame impala of the day. Count on it. First posted 01 October 2010 on Liquorature. Lemon Hart is an instructive case study in how one can chose a rum without knowing a damned thing about it. As I’ve noted on more than one occasion, if you go into a store without a blessed clue, you are down to three bases for your decision and only three: the price; the look; and knowledge you have when you enter the joint. Anything different is somebody else choosing for you. So here, what did I have? Well, the price for a flattie, which was less than twenty bucks; the look, which was simple and unadorned and referred to Demerara – perusers of my writing will know I have a soft spot for the old sod; and my knowledge. Admittedly, I do have a bit of a larger base of knowledge than some, and so I had certain advantages there. Knowing the history of the brand though, doesn’t mean anything. 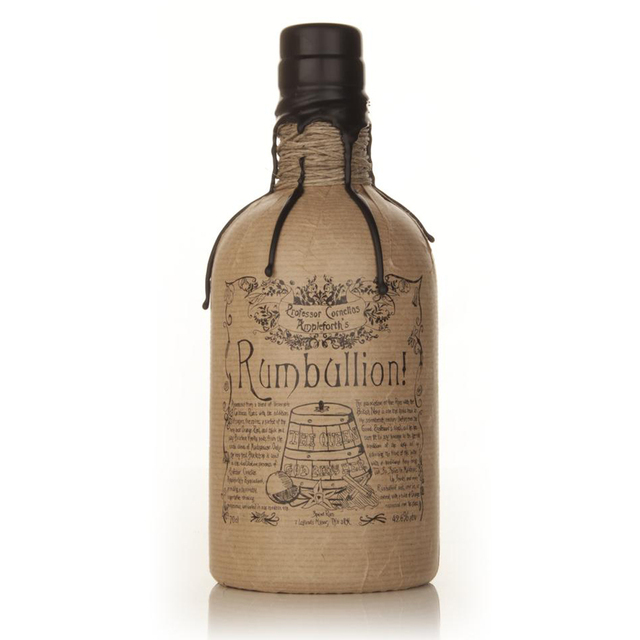 It’s how good the rum in this brand is, in this bottle, that counts. And I had never had any of Lemon Hart’s variations before, so I couldn’t tell whether any of its cousins were any good and extrapolate up or down, and therefore…well, in the end, I guessed. How disappointing is that? Lemon Hart owes its making to the Navy Rums of yore. 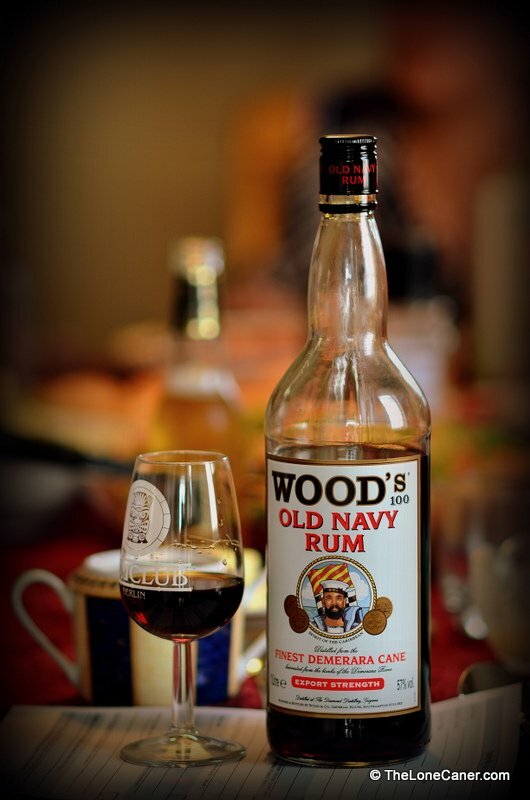 I’ve covered this in more depth in my review on the Pusser’s, but to recap, the British Royal Navy, as far back as 1655 until they abolished the practice in 1970, regularly issued a tot of rum to all hands in order to ward off scurvy (they added lime juice to the mix which is why I mentioned before that rum has been mixed since the beginning of its existence, and why Jack Tars are called limeys even today). 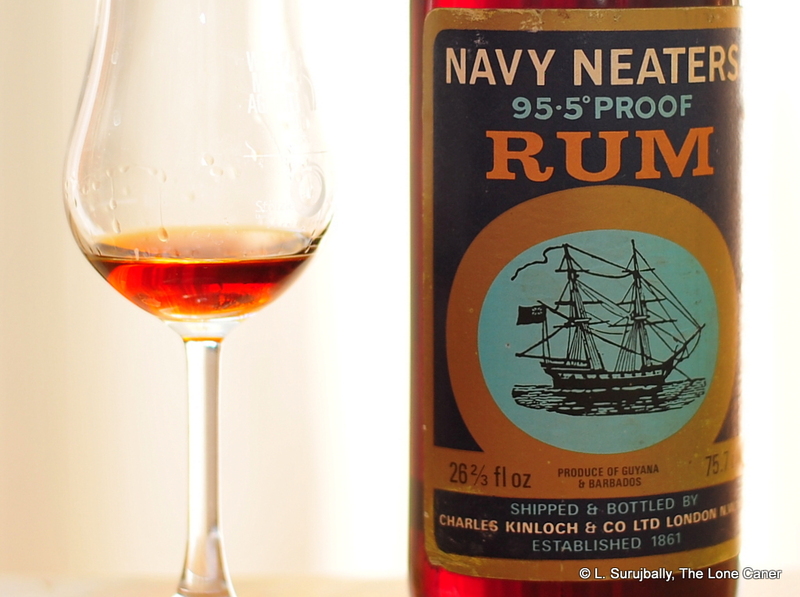 Navy rum by tradition is not heavily sugared or added to, which is also part of its distinctive cachet: Lemon Hart, Pusser’s and Lamb’s all pretend to this inheritance (for my money, the Pusser’s makes the strongest case, but that’s just me). 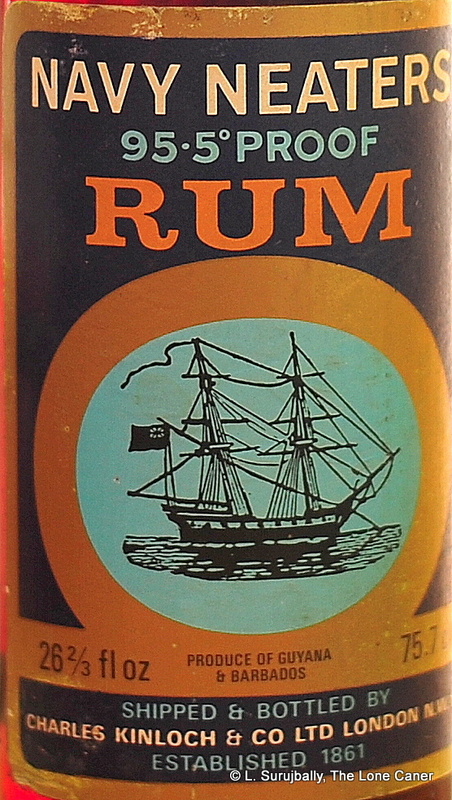 Lemon Hart was one of the original suppliers of rum to the Navy, beginning in 1804; Alfred Lamb came a few decades later with his London Dock rum. 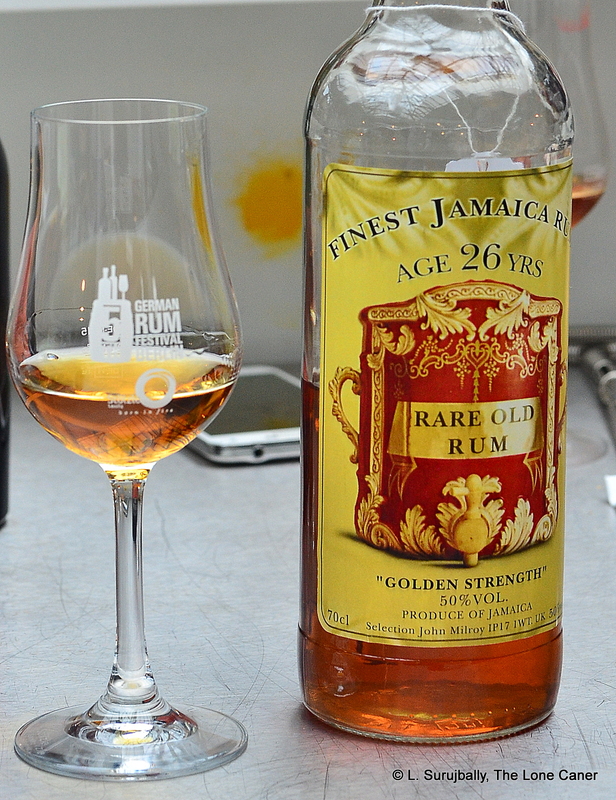 Both used raw rum stock that came from the Caribbean, mostly the dark, full bodied rums of Guyana. 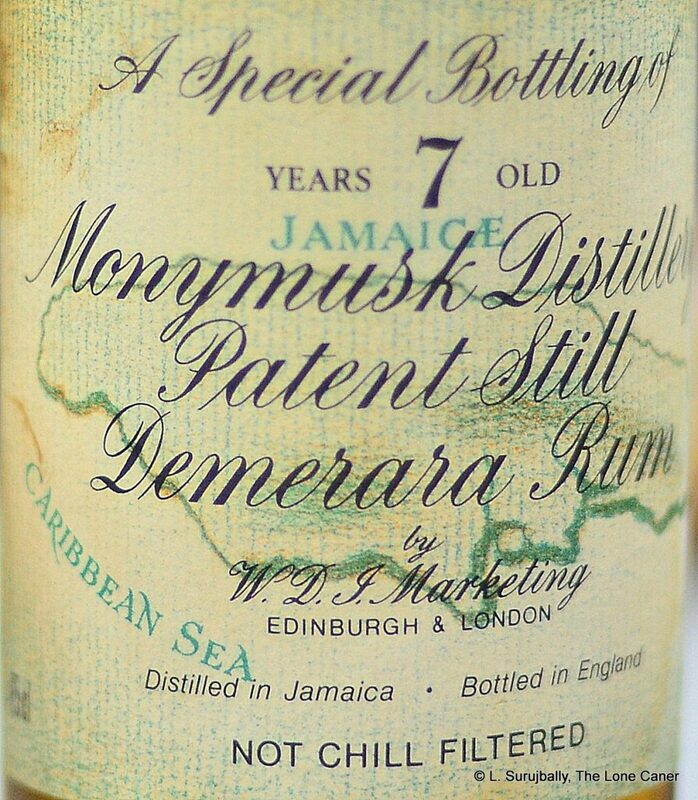 Indeed, Lemon Hart states this quite specifically on the bottle I have: Demerara rum product of Guyana. But it is bottled in either Ontario or England. 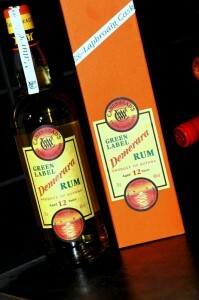 Lemon Hart is a dark rum, brown with reddish tints, and has the characteristic thickness and full body of Demerara rums. When you swirl the liquid in the glass, it has slow fat legs sliding languorously back in. 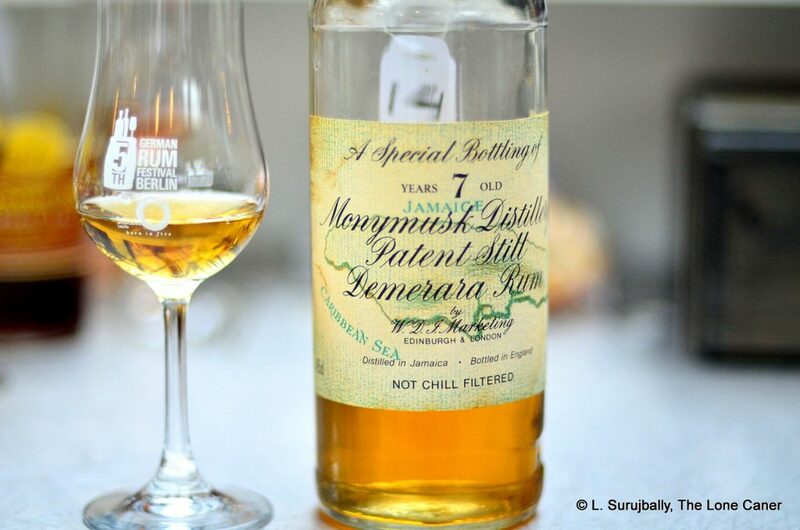 The nose, what there is of it, hints at straightforward rum without embellishment. You can tell it’s young from the harsh burning and medicinal reek, but this is swiftly gone, to be replaced with a powerful molasses overlay. Behind that is a slightly salty tang, just a hint of bitterness as if from some sort of citrus rind. On the tongue it demonstrates its youth with the rawness of the taste. Yes it’s a bit oily and coats the mouth very nicely, but behind the molasses taste (which is quite overwhelming) and brown sugar, caramel and some fruit, there’s not much here: on the other hand, if simplicity is your thing, LH will definitely shine for you. The finish is medium long and not very smooth, but since I wasn’t expecting much, it wasn’t too disappointed. In summary then: a mixer’s rum for sure. Lemon Hart is dense and viscous enough to need only a reasonable addition of cola or ale or Christmas drinks or whatever else your poison is, but it does need it. Once that is done, you have a decent drink you can enjoy at length without worrying too much about the overall price tag. And if you have guests, you may even get some brownie points for taking the time to hunt out what appears, in other parts of the world, to be a drink somewhat harder to obtain there than it is here. Note: There is also a Lemon Hart Jamaican rum somewhat more commonly sold and distributed down there, but I have been unable to ascertain whether it is the same maker of the Demerara variety or not. It seems not to be, but if anyone reading this review can shed light on the matter, please feel free to comment below.